Flashbay has been a busy place recently. 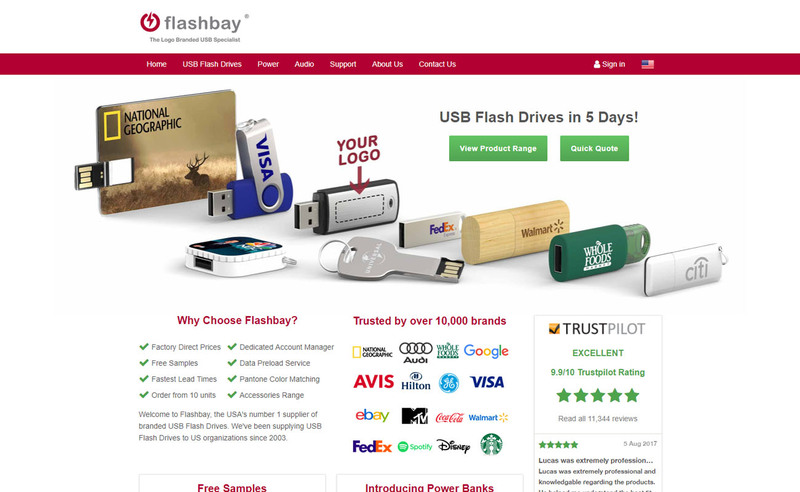 Last month we announced the arrival of 3 new Flash Drive models to the Flashbay family – all exclusive to us and manufactured in our own factory of course. This month we’re pleased to announce that our new and improved website is now live! Our previous site served us well for many years but we thought it was time for a comprehensive facelift. The new site not only looks fresh (even if we do say so ourselves) but it also works great on all devices – desktops, laptops, tablets and mobiles. All the functionality from the old site remains – including the Quote Form and Contact Us forms - as does our signature high level of customer service. Please have a browse and let us know what you think! If you’re interested in using branded USB Flash Drives for your next project please fill out our Quick Quote form and one of our dedicated Account Managers will be in touch as soon as possible.